A strange young girl lives in the old, forgotten Kisaragi rail station. She sees humans go by on the train, and she wishes she could speak with them. When one man accidentally stops and talks with her, the conclusion of his story becomes the trigger that sends her off on a journey of her own. She becomes a train conductor and heads off in search of her home, but she meets others with their own troubles along the way. Midori, Momoko, and Shiho are friends in high school. Momoko is in the art club, Shiho is in the swimming club, and Midori has a hobby of searching out bizarre things. One day, Midori finds a new cafe for them to go to--a weird 'space' cafe with an owner who wears an astronaut helmet! The three of them pass their days together, encountering plenty of strange situations along the way. All the ones I read this week were pretty fun. Isekai Cafe was cute and peaceful. It seems like it will be a happy manga. Hajimari no Yakou Ressha, on the other hand, was cute but sad/bittersweet (depending on the chapter). 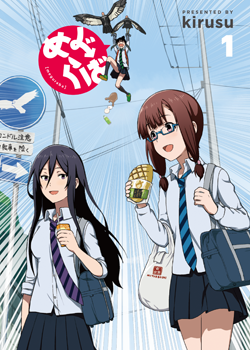 Meguraba would be an interesting one for people who want a kind of offbeat school life story. Hajimari no Yakou Ressha - If you're into fox girls and fantasy dramas, then you'll like this manga. Isekai Cafe o Kaiten Shimashita. 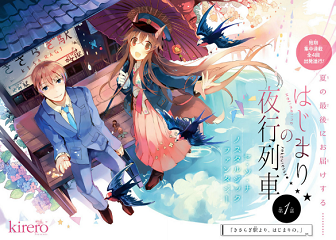 - This is also a fantasy based manga, but more cooking based. 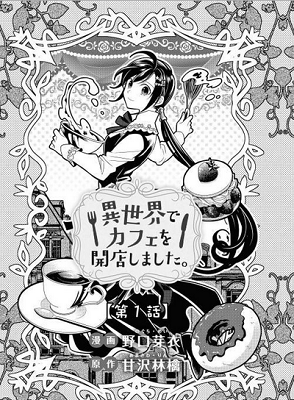 If you're a fan of cooking mangas, then this may be the manga for you. Meguraba - If you're more in the mood for slice of life school comedies, then you should check out this manga instead. If you haven't done so already, check out the scanlations of the mangas from previous shout outs which have been recently scanlated: fantasy manga Nejimaki Seirei Senki - Tenkyou no Alderamin (MH link), romantic comedy Koibana Kiseki (MH link).